Noam Galai/Getty Images for TechCrunchManaging Partner at Google Ventures, Bill Maris. 1. Uber is raising up to $2 billion (£1.4 billion) in the form of a leveraged loan, according to The Wall Street Journal. The move comes just two weeks after the ride-hailing service raised $3.5 billion (£2.5 billion) from a Saudi Arabian investment fund. 2. 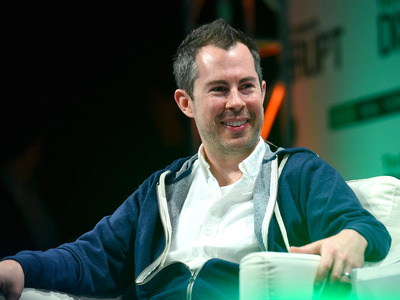 Google Ventures CEO Bill Maris described the relationship between Google Ventures and portfolio company Uber as “very healthy.” Both Google and Uber have ramped up their self-driving car efforts lately, making them look more like rivals than ever before. 3. Twitter invested “around $70 million (£50 million)” in music-streaming service SoundCloud, according to Recode. The investment was part of a new $100 million (£70 million) round that will reportedly value the streaming service somewhere in the region of $700 million (£495 million). 4. Mark Zuckerberg is working with a broken arm. He broke it after falling off a bike. 5. Twitter is beefing up its block button to crack down on trolls. The change means that blocked users will become totally invisible. 6. Scottish tech ‘unicorn’ FanDuel is finally going to launch its fantasy sports platform in the UK. The company is going to launch a Barclays Premier League offering. 7. Jobandtalent raised $42 million (£30 million) in a funding round led by Atomico, the venture capital fund set up by Skype founder Niklas Zennström. Zennström has a net worth of $1.19 billion (£780 million). 8. Apple’s new iPhone software will automatically show you where you parked. Your car’s location appears on Apple Maps. 10. The CEO of Onefinestay explained how his £117 million acquisition came to be. Greg Marsh sold the company to French hotel chain Accor in April.